A congressional staff report from the House Committee on Science, Space, and Technology indicates that the Russian-backed propaganda group, the Internet Research Agency that was charged in the Mueller probe, worked on social media platforms to influence energy policy in the U.S., according to the WSJ. 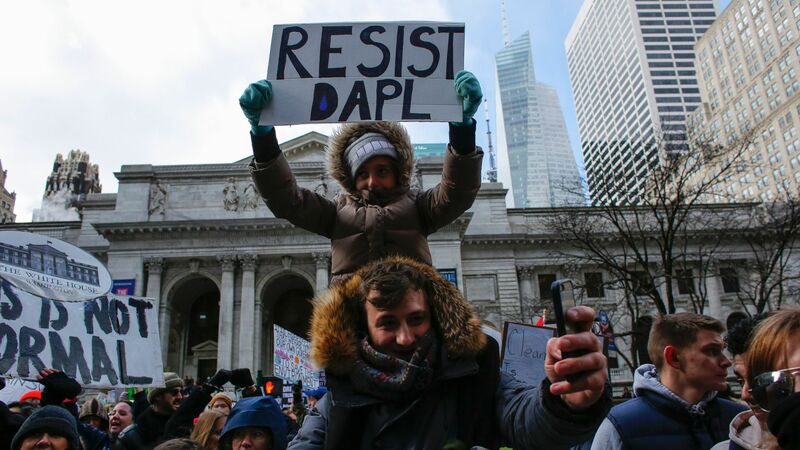 What happened: IRA staffers posted photos and messages on Facebook, Twitter, and Instagram 9,000 times between 2015 and 2017 to encourage protests of pipeline construction in the U.S., abandoning fossil fuels use, and worked to elevate climate change disputes and controversies. It is not clear that the campaign had any influence on U.S. energy policy and many of the posts were shared by “a handful of followers,” per the WSJ. Facebook and Twitter said they took down the IRA accounts last year because they violated their policies. The report is based on data supplied by Facebook and Twitter, the WSJ reports. "Russia has responded to the growth of American oil production with an unprecedented deal to cut its oil production in coordination with other big exporters, an effort to cap supply and stabilize plunging prices," the WSJ's Georgia Wells Timothy Puko write. The Russian embassy in Washington, D.C. declined comment to the WSJ but sent previous comments from Foreign Minister Sergei Lavrov denying claims of Russia using social media to sow discord in the U.S.